Recently, Claudine Barretto has been the center of controversies after an issue involving money thrown to her. 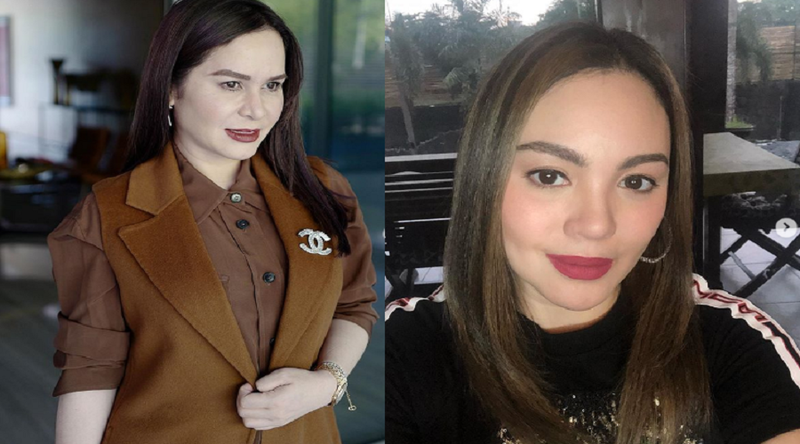 It can be recalled that talk show hosts Lolit and Cristy Fermin stated that Claudine allegedly owed money from Jinkee Pacquiao, which she denied. 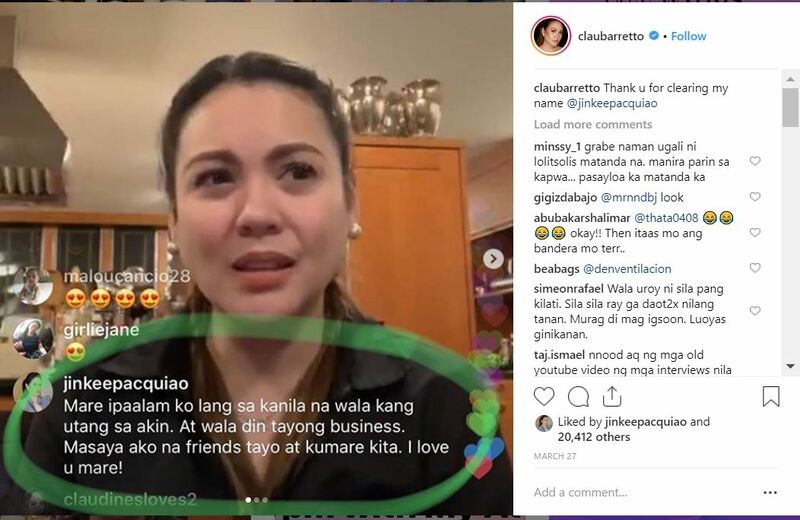 To clear her name Claudine talked about the issue in a live session on Instagram last Wednesday, March 27. 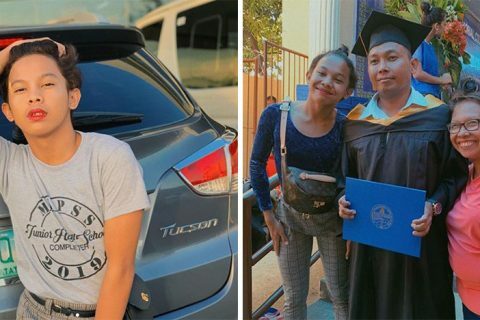 “Kaklaruhin ko ngayon pa lang na wala akong utang kahit kanino, kahit kay Jinkee Pacquiao na kumare ko. Hindi ako mayaman pero hindi rin ako waldas sa pera. Sana matapos na po ‘yung tsismis na ‘yan,” she added. 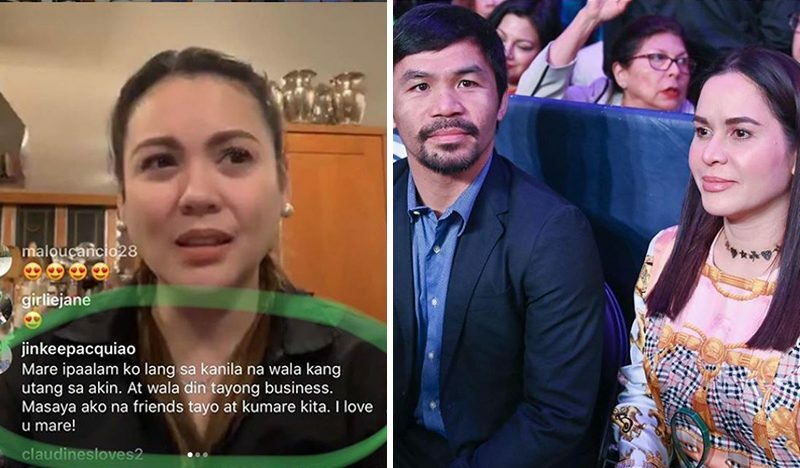 During the Instagram Live of the actress, Jinkee Pacquiao left her comment where she revealed that truth about the debt issue. “Mare, ipaalam ko lang sa kanila na wala kang utang sa akin. At wala din tayong business. Masaya ako na friends tayo at kumare kita. I love you, mare!”. The wife of Manny Pacquiao clarified that the actress does not owe her any amount, and she added that they are good friends. “Wala pong utang si Claudine sa akin. 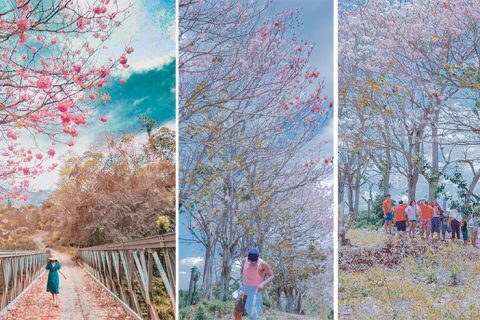 Mahal ka namin, mare! Just pray for them na lang,” Jinkee added. Claudine also expressed her gratitude towards Jinkee Pacquiao for clearing her name. Meanwhile, Claudine’s sister, Gretchen Barretto also thanked Jinkee for speaking about the issue. 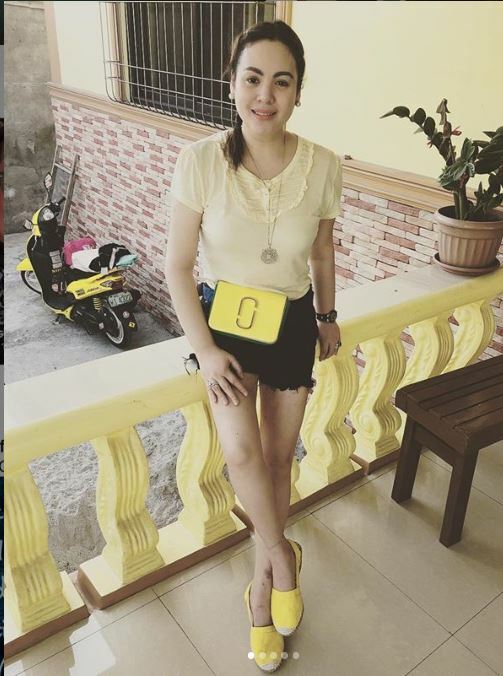 According to her, she believes their other sister, Marjorie Barretto is the one responsible for spreading the rumors. “Thank you so much for clearing this issue. I will be forever grateful to you. I am not blaming my friend Tita Cristy Fermin & Tita Lolit. We investigated & was told that MARJORIE BARRETTO IS THE ONE SPREADING THE (utang issue) low blow,” Gretchen wrote.